The oil price collapsed dramatically in the fourth quarter, falling from a high of USD 85 per barrel to just over USD 50. However, with the outlook for oil prices now looking more supportive, the UK’s oil majors should continue to serve the interests of UK equity income investors—even in a volatile pricing environment. The market was caught off guard by the drop in oil prices. All signs had pointed to a relatively sanguine environment for oil, with global demand expected to remain stable and the supply picture looking increasingly constrained. Forecasts had suggested that the oil price could edge its way towards USD 100. Instead, an unexpected increase in supply helped send prices spiralling lower. The big news was the softening of US sanctions on Iranian oil imports. The US had been expected to implement restrictions that would have removed as much as 400,000–500,000 barrels per day from Iranian supply. This would have had a material effect on the overall dynamic of a market that produces 100 million barrels per day globally. However, the US softened its stance and granted waivers to allow eight countries to continue importing from Iran, stoking concerns of oversupply. In response to the expected shortfall of output from Iran, members of the Organisation of the Petroleum Exporting Countries (OPEC) and Russia ramped up production. Saudi Arabia delivered record volumes, with production numbers at times exceeding 11 million barrels per day in November. Finally, a step-up in US oil production provided another boost to global supplies. 2018 proved to be a record year for the US oil industry, as strong performance from unconventional producers helped the country overtake Saudi Arabia and Russia to become the leading oil producer. At the same time as oil supplies were rising, a slowdown in global growth was hitting demand, leading to a rise in oil inventories. The result was a dramatic turnaround in sentiment, as a market that only a few months earlier was believed to be supply constrained was suddenly hit by fears of a supply glut. The oil price has regained some ground since hitting a low on Christmas Eve and there are supportive factors on the horizon that could put upward pressure on prices. OPEC, for example, cut production by more than 800,000 barrels per day in December—much of which was from Saudi production. Waivers on Iranian sanctions are also set to expire in May, with data showing that imports from Asia are already down by over 10% on a year-on-year basis. Finally, there is a chance that US unconventional production could undershoot expectations. The drop in the oil price means that many wells are no longer profitable, which could mean that plans for new rigs and drilling will be scrapped. The key question for UK investors is how the fluctuations in the oil price will impact the profitability of the UK-listed oil majors BP and Royal Dutch Shell*. Both companies were beneficiaries of the favourable oil environment in the first nine months of last year. However, their discipline and commitment to deliver value to shareholders should also be acknowledged when looking at the sector—particularly in light of the recent oil price weakness. BP, for example, has disposed of non-core assets and rebuilt its balance sheet in the aftermath of the Deepwater Horizon disaster. To the extent that, at the end of 2017, the company was able to engage in a series of share buybacks. Crucially, BP remains committed to a disciplined approach to capital expenditure and to returning cash to shareholders through dividends. Royal Dutch Shell has also learned its lessons from the market correction in 2015, trimming its upstream operations and offloading non-core assets in favour of also delivering an attractive dividend to shareholders. Following a period of restructuring and disposals, BP and Shell now possess balance sheet strength and their managements have planned for a “lower for longer” USD 50 oil price environment. With both companies continuing to offer attractive dividends and actively engaging in share buybacks, these stocks appear to remain well placed to serve the interests of UK equity income investors. *The securities above are shown for illustrative purposes only. Their inclusion should not be interpreted as a recommendation to buy or sell. 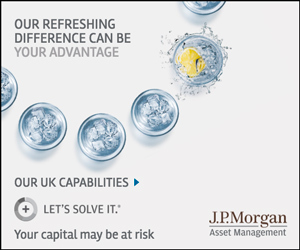 Amit Parmar is an Investment Specialist within the J.P. Morgan Asset Management UK equity team.